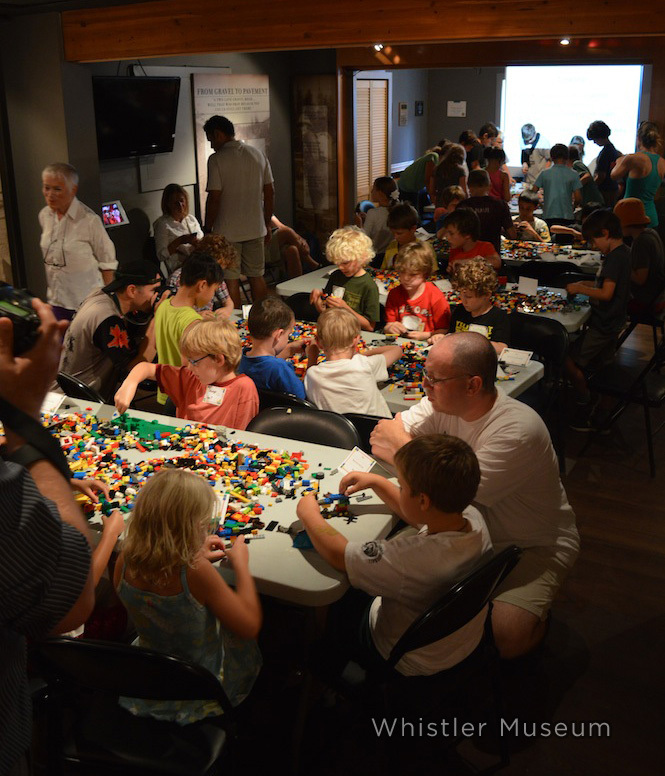 It’s finally here, our 18th annual LEGO Building Competition! Happening next Saturday, August 9th, from 2-4pm. 50 kids will participate and anyone aged 3-12 is welcome. Only $5 per child. This year’s theme is “What makes Whistler Awesome?” Essentially, you can build something, anything, that makes Whistler awesome to you. Perhaps you think bears are awesome, marmots, fishing, hiking, skiing—anything goes! This year we’ve got tons of great prizes from Armchair Books, Whoola Toys, Fun for Kids Clothing and Accessories, TAG – The Adventure Group, Meadow Park Sports Centre, Village 8 Cinema, Prior, Fathom Stone Studios, Great Glass Elevator and Peekaboo Beans. 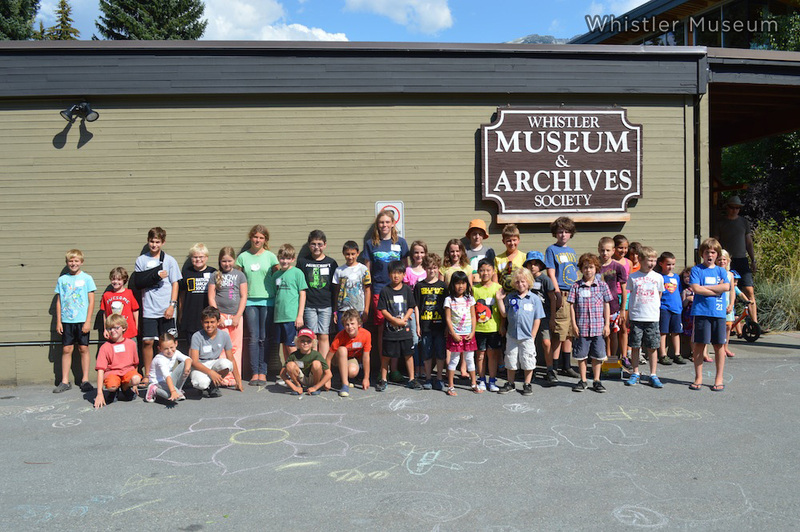 This event sells out in advance every year, so to avoid disappointment, stop by the museum or give us a call at 604.932.2019. Because of the event’s popularity, we cannot reserve spots without payment. We can’t wait to see all of the marvellous LEGO creations of awesomeness to come! 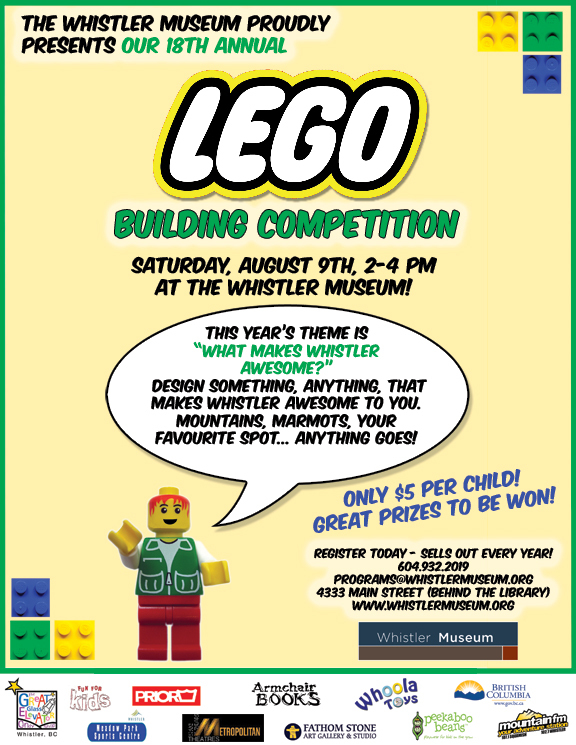 This entry was posted in News & Events and tagged Events, LEGO, LEGO Building Competition, Whistler, Whistler Museum. Bookmark the permalink.